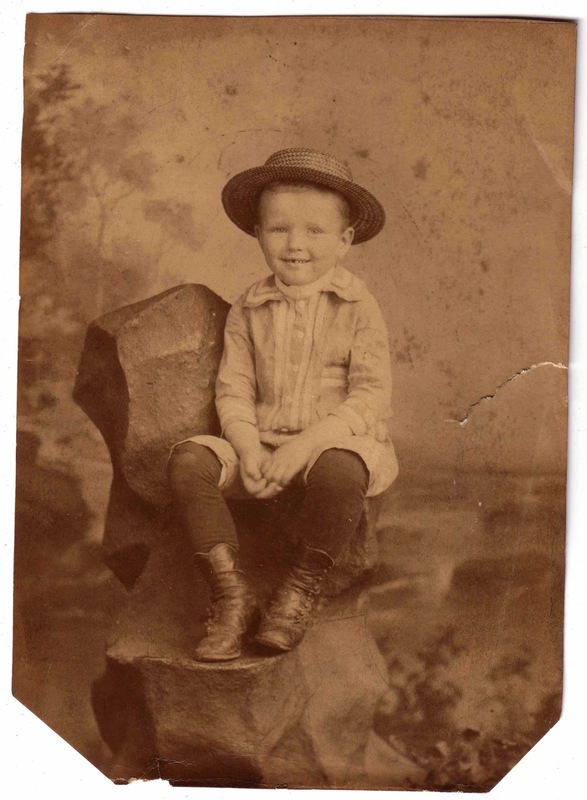 Today, I'm featuring a very young photo of my great-grandfather, E. S. Goodner. I'm guessing that this photo was taken about 1883 or 1884 in Sulphur Springs, Texas. He was named for his two grandfathers, Edward and Superior. His father died when he was 5 years old and he later became the man of the family, looking after his mother and sisters. I love the clothes and the smile. Based on the recollections of everyone who knew him, he remained a snappy dresser and a man of mirth. Adorable! I love the fact that his picture was made while missing his front tooth. I am curious about the photo prop he is sitting on: it works, but it is quite odd? And I have to ask, did people address him as "Superior"? Wonderful name. I have to add, looking up information for my blog I ran across a man named Clem Sharp. He listed his father's name as "Fealing Sharp". Parents do the darnedest things! Mary, I thought the missing tooth was cute too. His father was a dentist. I think the prop is supposed to be a rock and no one addressed him as Superior, he was actually a little embarrassed about it. He typically went by E.S. or Ed. I've even seen a few documents where he pretended his middle name as Samuel or Stephen. Sulphur Springs is just 20 miles east of me. Next time I go thru there, I will "tip my hat" to your GGF! Did he live there long - or head to California as soon as he was able? Michael, E.S. lived in Sulphur Springs until he was a young man. Then he moved briefly to Ft. Worth before moving to Gainesville and getting married. For business reasons, the family moved to Wichita Falls and they didn't remove to California until he was in his mid-40s. Please tip your hat for me as you head through. E.S.' maternal side was in Bright Star before the town was even called Sulphur Springs and his future wife, Mary Grow, grew up in the town when her father was the Presbyterian minister there. Sulphur Springs is one of the places I hope to visit some day to do some family research.